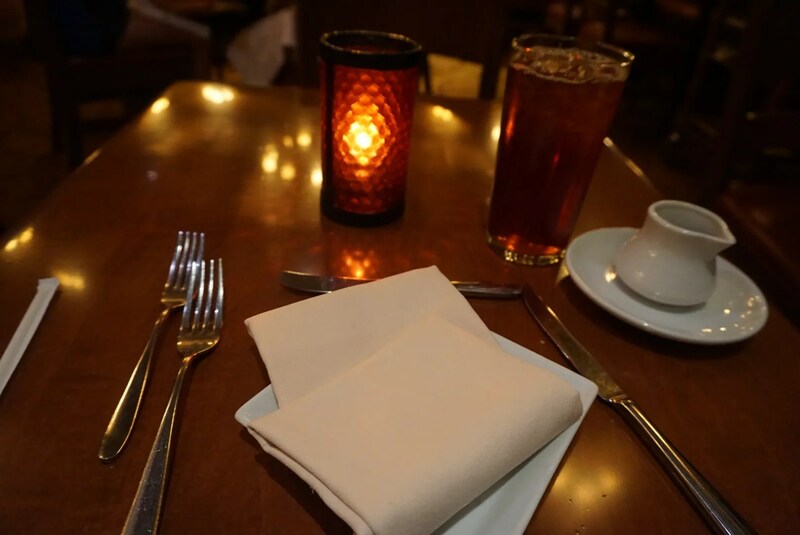 Years ago (before the Disney Dining Plan) Le Cellier was a family favorite for lunch. One of the reasons was that it had an awesome burger on it’s lunch menu at a reasonable price. 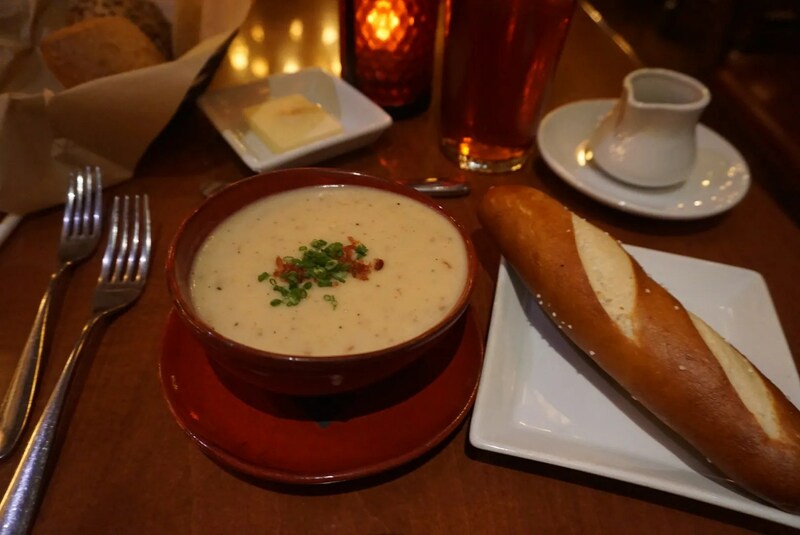 The burger combined with their cheddar cheese soup, pretzel breadsticks, and perhaps maple crème brulee (if there was still room for dessert) was the perfect lunch. 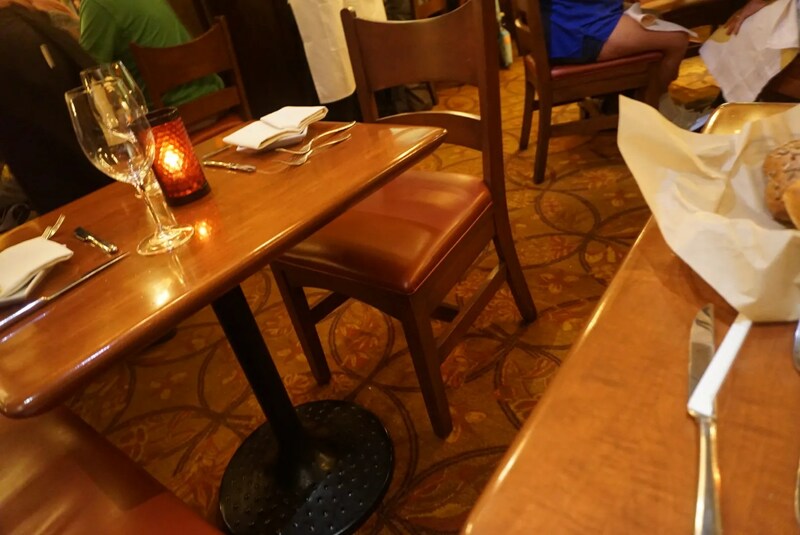 But that all changed when the Dining Plan came along and Le Cellier was made a signature restaurant (first at dinner, then for both dinner and lunch) requiring 2 dining credits. They went to an all-day menu and gone were the cheaper lunch options like the burger. 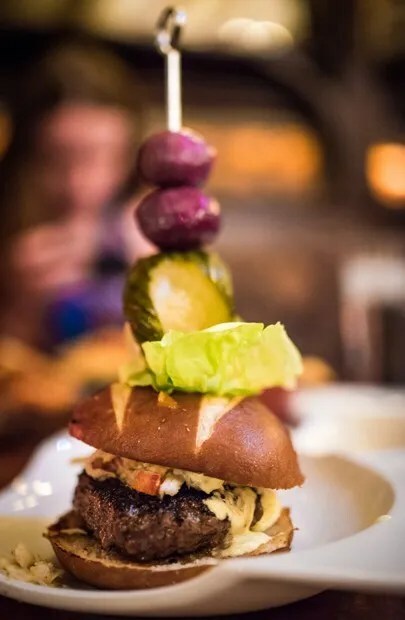 In fact the review declared this to be “the best burger at Walt Disney World”. 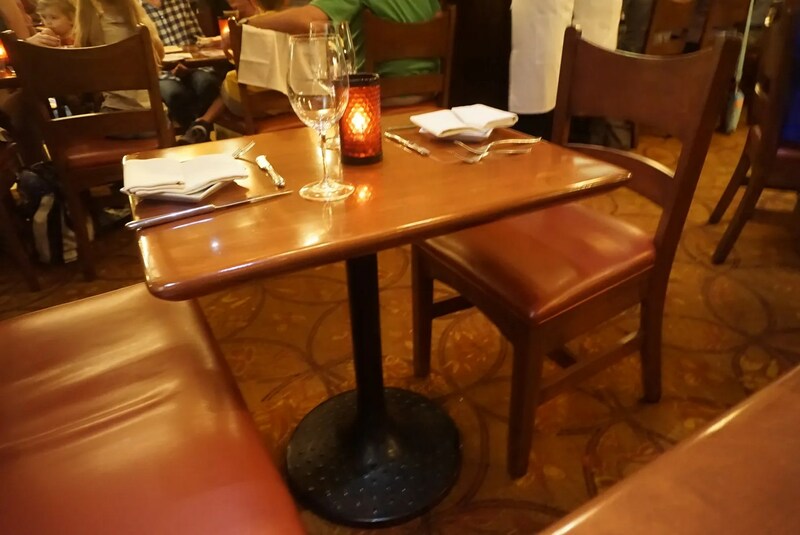 So I made my reservation for a solo lunch at Le Cellier, saving it for the last park day of my trip. My table was exactly the same size, but it seemed a little more cramped since I was not on the end of the row of tables like this one. But my hopes were dashed. 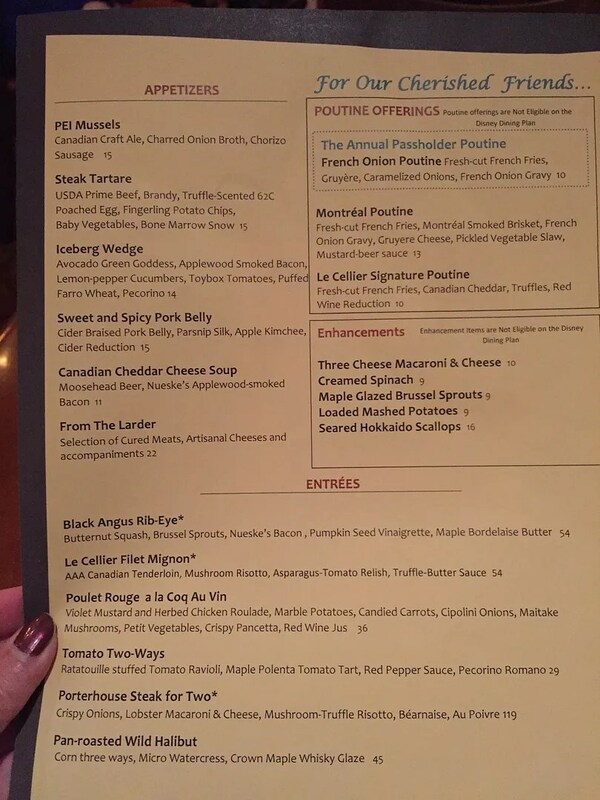 While the Cheddar Cheese Soup and Maple Crème Brulee had made it onto the new menu, the burger had not. 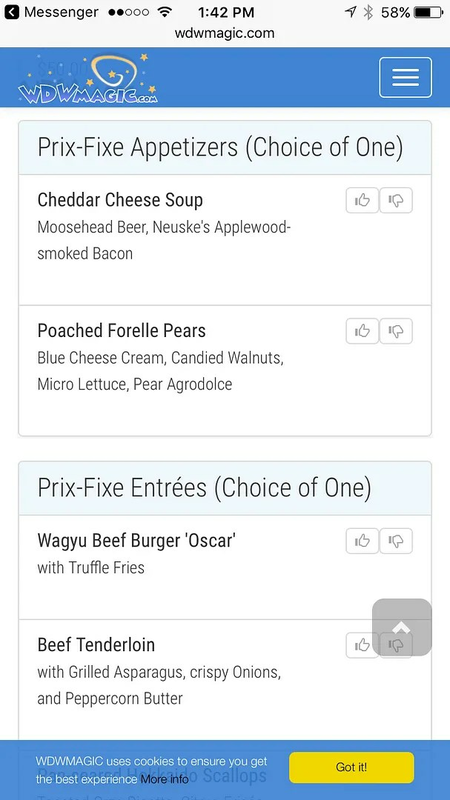 In fact, instead of offering 4 entrée choices (the burger, a beef tenderloin steak, scallops, and a vegetarian option) they now only had 3. 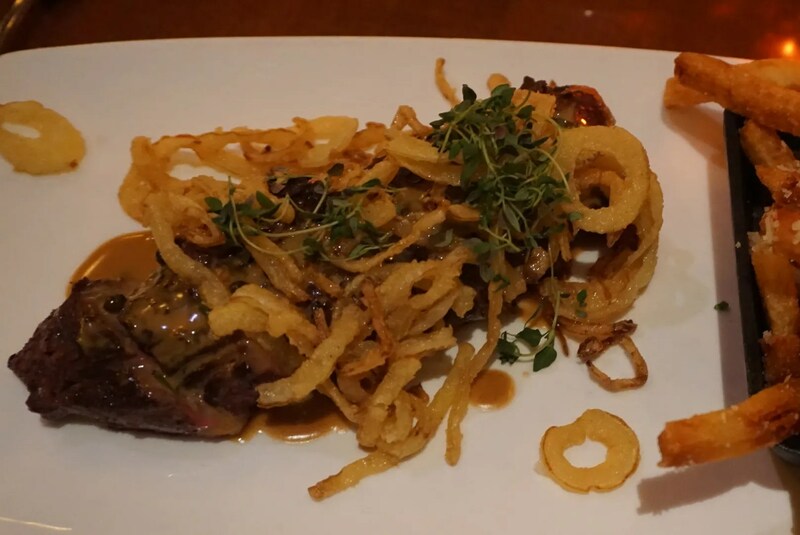 A Hanger steak had replaced both the burger and the higher quality beef tenderloin steak. So a decision needed to be made…quickly. 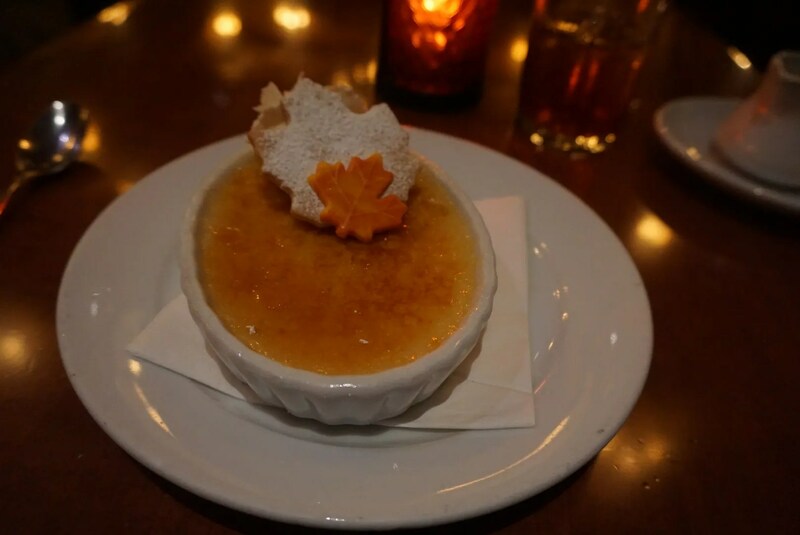 Do I just get the soup and dessert a la carte and skip the entrée? Or do I try the Scallops, which sounded pretty good? 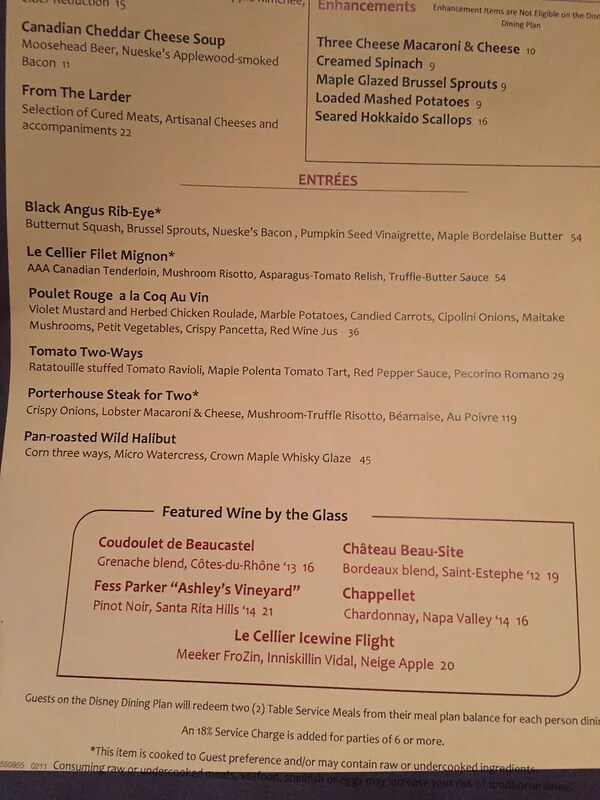 Or since this is a steakhouse, do I give the Hangar steak a try? 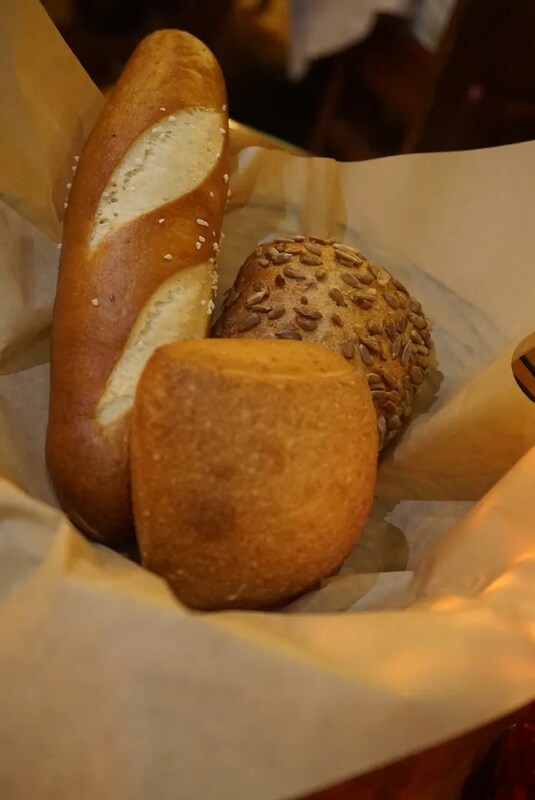 Although there were three options in this basket, I was only interested in the pretzel breadstick…because it pairs so well with my chosen appetizer. I love the combination of the soup and pretzel bread and had purposely held off from having it (smaller, but cheaper portion size) at the Canada Food & Wine Festival booth so that I could maximize the enjoyment of having it here. And I did enjoy it very much! This steak was absolutely terrible…the worst steak I’ve had in recent memory. It was filled with fat and gristle and was not edible. 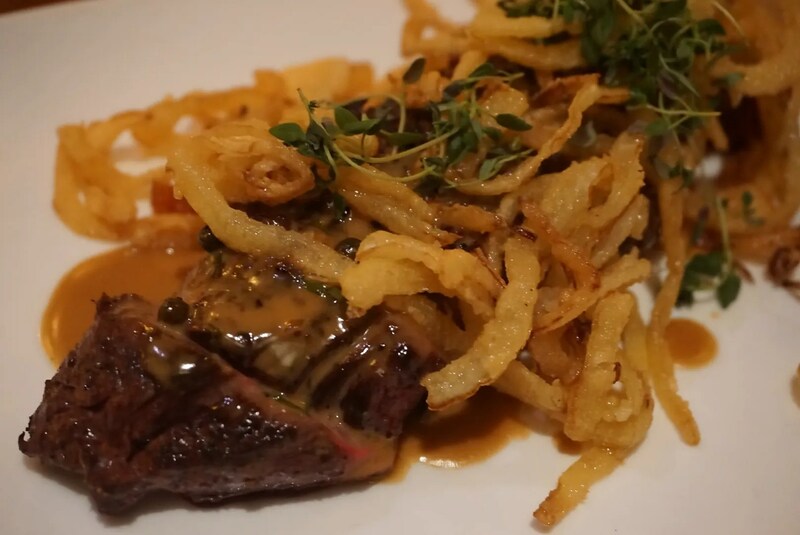 The pile of fried onions on top may have visually hidden the poor quality of this steak but in no way helped me to swallow this awful piece of meat. 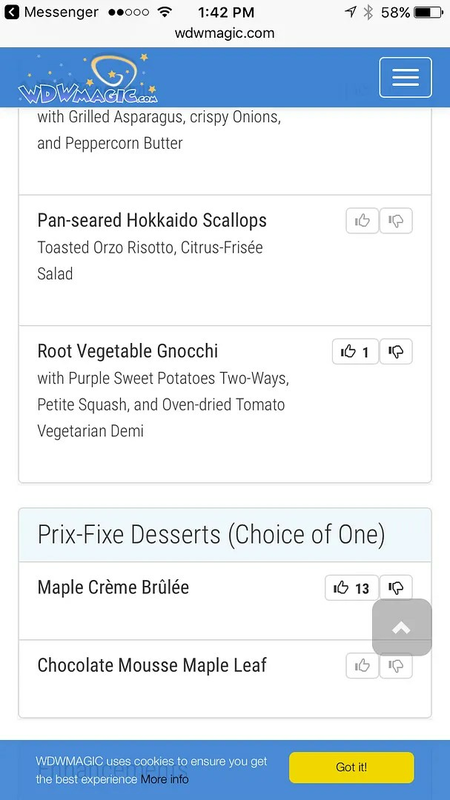 And to add insult to injury, I paid $29 for this ($49 prix-fixe meal cost less $11 for soup and $9 for dessert). 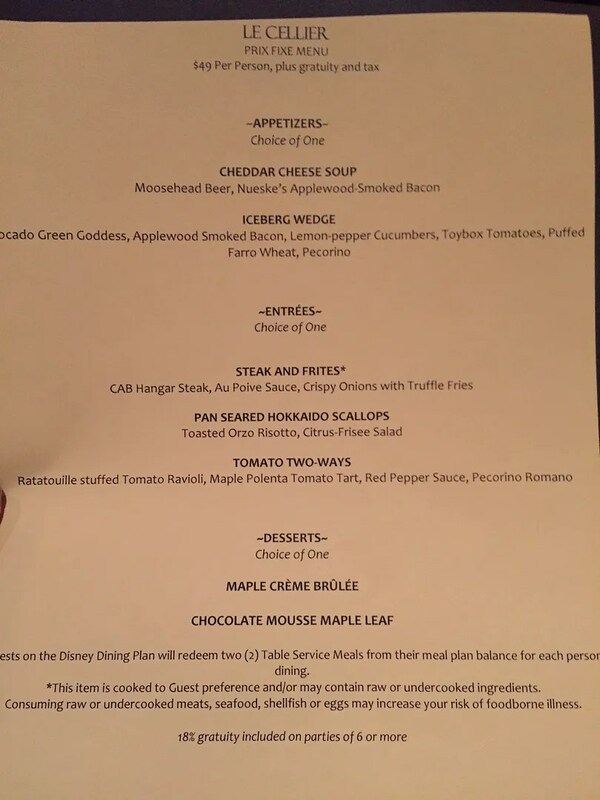 It makes me angry even now (11 months later) looking at this sorry excuse for a steak that was served at one of Disney’s signature steakhouses. Also, not only did my server not come to check on me after my food was delivered to my table by a food runner, but when he did finally come to clear my plate before bringing my chosen dessert, he did not question the fact that I had barely touched my steak. So again, very odd for what is supposed to be a signature restaurant. 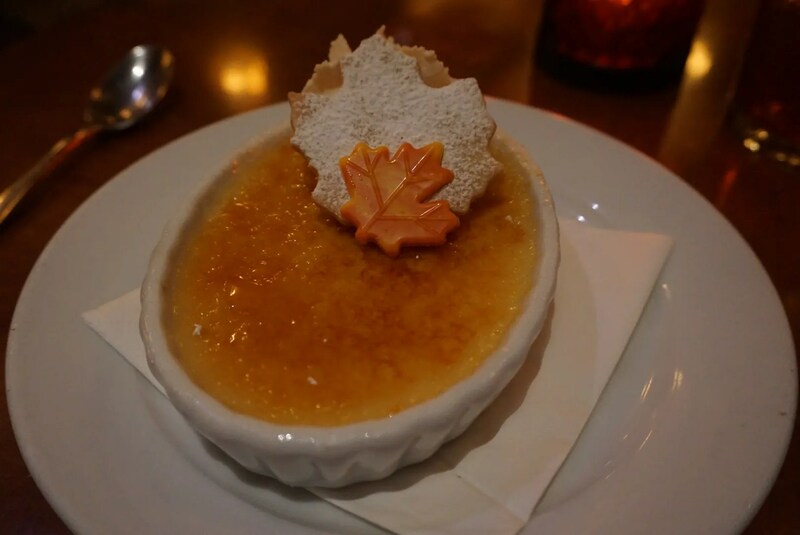 It had been quite awhile since I had had maple crème brulee here, as I usually don’t have room for dessert. 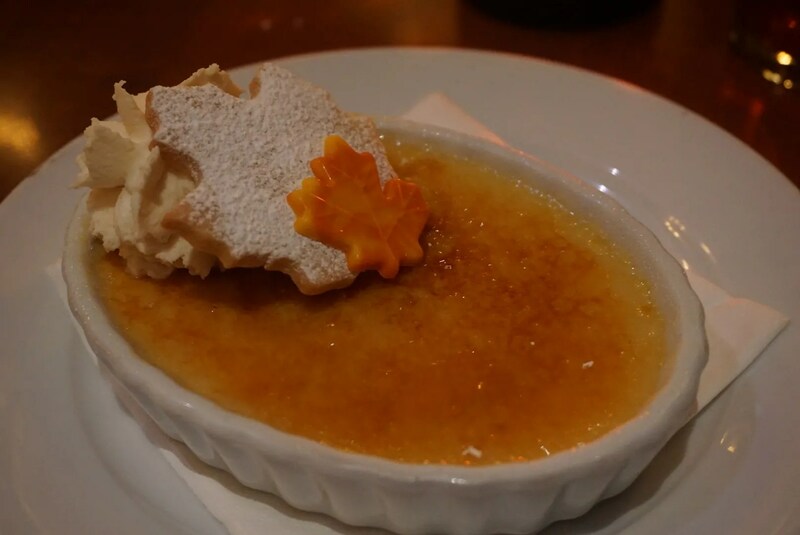 But this was very good and ended my meal on a high note. So that just leaves the ratings and rankings. 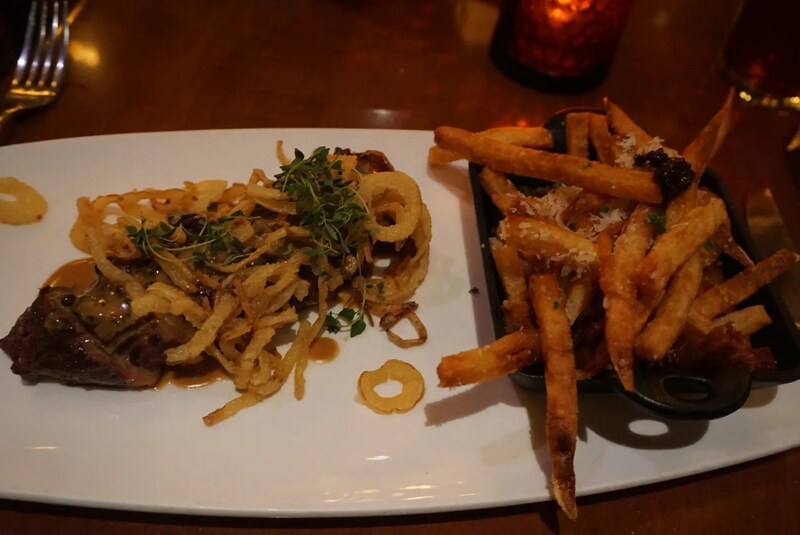 Though both Trip Advisor and Yelp reviewers gave Le Cellier 4 stars, based on the poor service and awful steak (at a “signature” steakhouse) I can give it no higher than a 3. 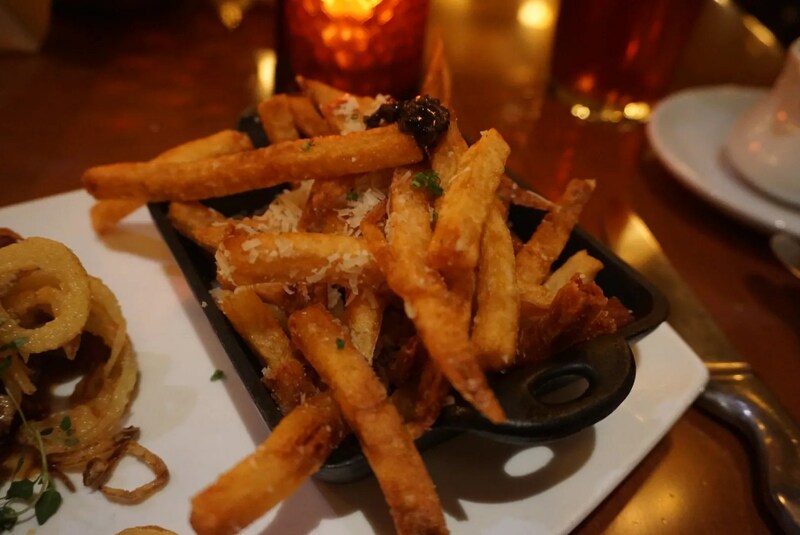 As for its ranking, Le Cellier ranks #352 best of the more than 3,000 Orlando area restaurants reviewed on Trip Advisor. 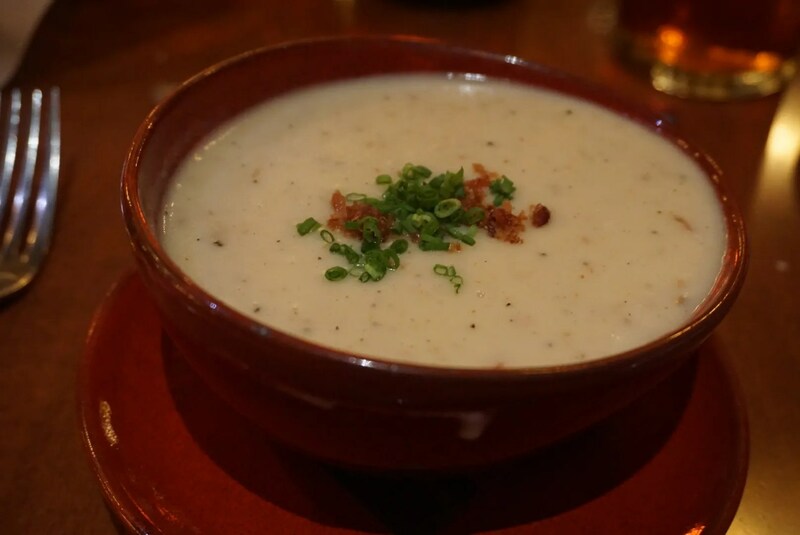 Narrowing it down to just the Disney World area restaurants, Le Cellier ranks #104.